Get out of town with these interesting New Delhi side-trips: Gurugram (Gurgaon) (Ambience Mall, Sai Ka Angan Temple, & more) and Noida (Worlds of Wonder & The Great India Place). 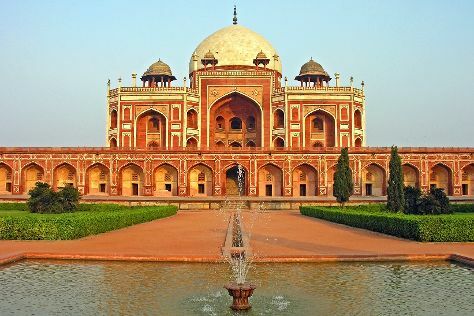 And it doesn't end there: admire the natural beauty at Humayun's Tomb, contemplate in the serene atmosphere at Bahai Lotus Temple, contemplate the long history of India Gate, and take in panoramic vistas at Qutub Minar. To find other places to visit, where to stay, and more tourist information, refer to the New Delhi trip website . November in New Delhi sees daily highs of 33°C and lows of 15°C at night. Wrap up your sightseeing on the 21st (Wed) early enough to travel back home.